Frank Hyder, who splits his time between Philadelphia and Miami, has become known for working across a variety of media. 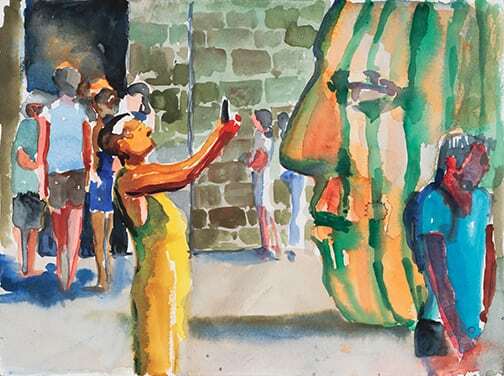 His paintings and sculpture have been widely exhibited in venues such as the Pennsylvania Academy of Fine Art’s Museum of American Art, the Carnegie Museum in California, the La Salle Museum of Art in Philadelphia, and the National Museum of Catholic Art and History in New York among others. 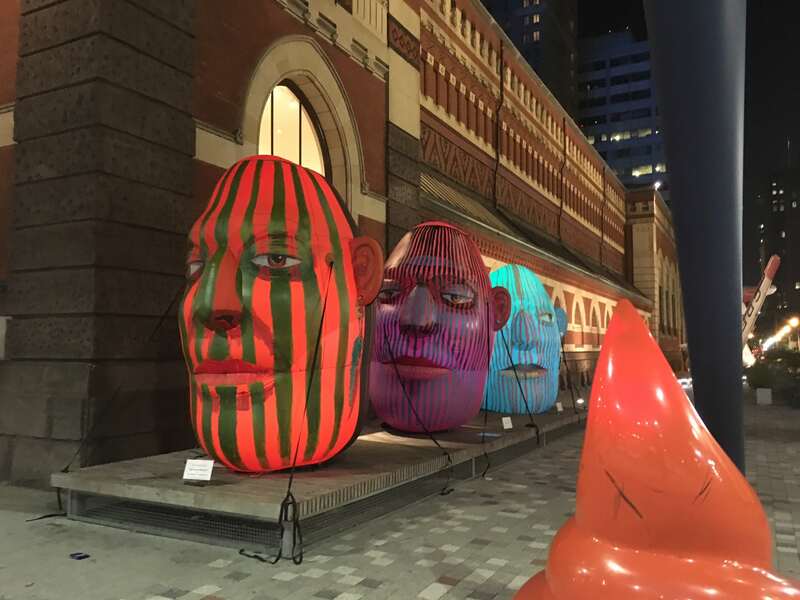 Hyder has also created several public art works, including three murals through the City of Philadelphia’s Mural Arts Program: Hanging Garden of I-95, Honey’s Garden, and Bell’s Pond. 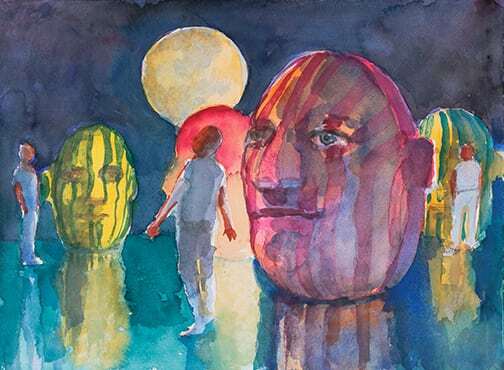 Through Oceania Cruise Line’s Artist in Residence program, Janis traveled the entire coast of Europe form Istanbul to St. Petersburg, including the British Isles. The Janis Project continues to travel the world with its growing number of sculptures and will land at the Michener in November of 2018. 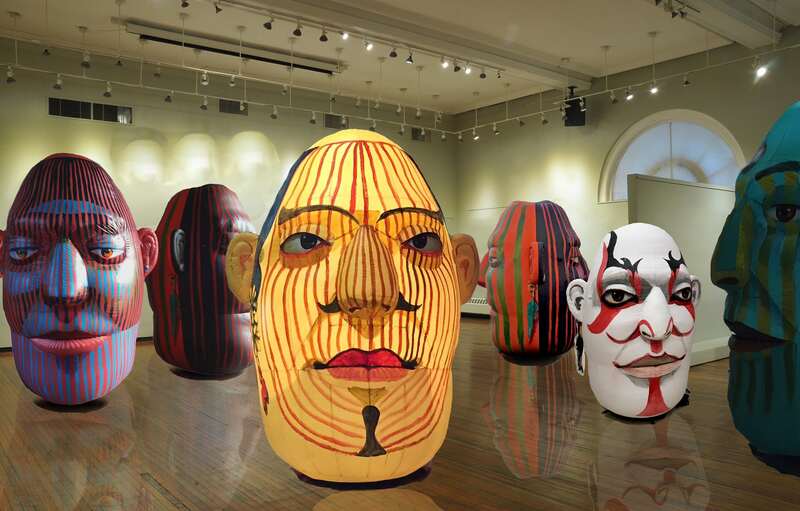 The Museum will play host to several Janis sculptures as well as a selection of watercolors made during and in response to Hyder’s journey around the world with his sculptures. 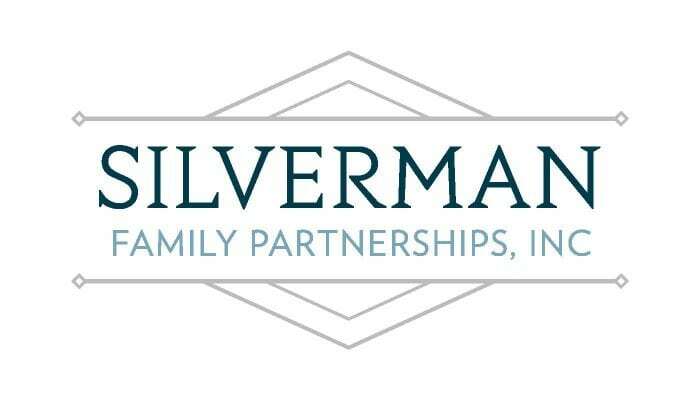 The installations in the Outdoor Sculpture Gardens are sponsored by Silverman Family Partnerships. All images courtesy of the artist, Frank Hyder.